Snow is so rare in Davis that people grab their cameras to take pictures of it when it falls. 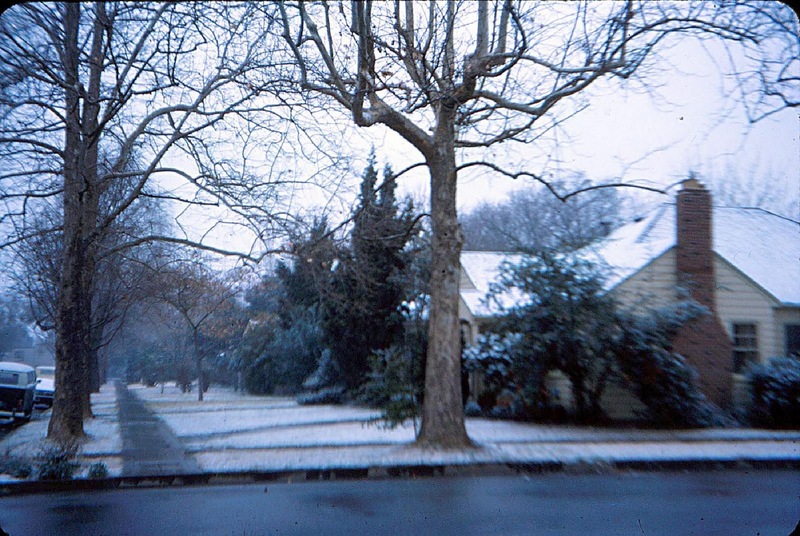 Indeed, a good portion of all the historic snapshots we have of Old North streets and homes are in snow! 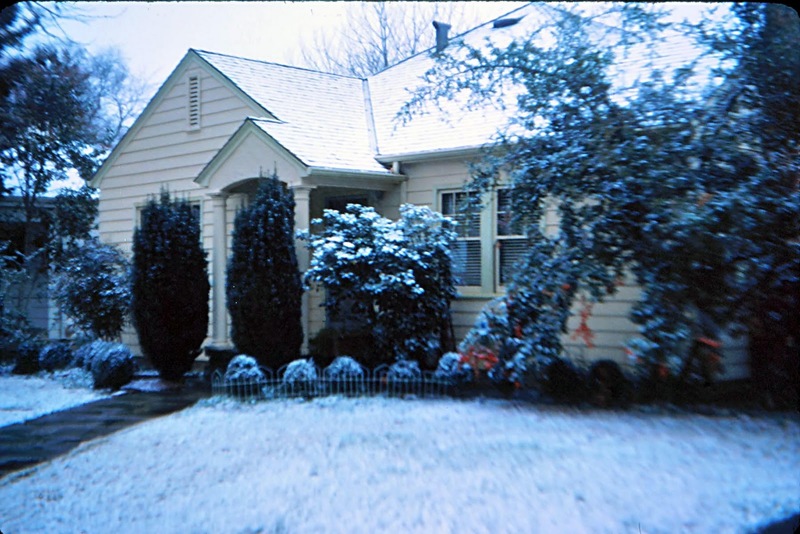 Here we see two snapshots taken, likely, on February 5, 1976. I say “likely” because we know it snowed that day & the photos are dated July, 1976, implying a gap between exposure and development. They are from the estate of Miriam Hummel, who was the owner-resident of the home pictured here (602 C) at that time. The snapshot looking north up the east-side sidewalk of C Street reveals some interesting changes. 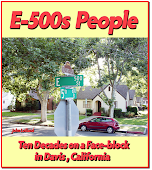 As late as 1976, front yards still exhibited their historical open and expansive character. “Manicured” is a term that comes to mind. The same view today is quite different and features fences, bushes and other large objects.